With nicknames like “living dinosaur” and “the world’s most dangerous bird,” you'd be correct to assume it’s a dangerous game to keep a cassowary as a pet. Marvin Hajos, a 75-year-old farm owner, was killed by his pet cassowary near Alachua in northern Florida on Friday, April 12, local CNN affiliate WCJB reports. Emergency services received an unusual phone call from a man saying an exotic bird had attacked somebody on the property. The man was reportedly still alive when first responders arrived on the scene, but he died on the way to the hospital as a result of his injuries. "It looks like it was accidental. My understanding is that the gentleman was in the vicinity of the bird and at some point fell. When he fell, he was attacked," Jeff Taylor, deputy chief of Alachua County Fire Rescue, told The Gainesville Sun. Cassowaries are large flightless birds that can grow over 1.8 meters (~6 feet) tall and weigh over 45 kilograms (99 pounds). Although they look like something straight out of the Jurassic period, the species are native to Papua New Guinea and a small slither of Queensland in northern Australia. They are primarily vegetarians, mainly living off a diet of fruit, but they're also known to eat fungi, snails, insects, frogs, birds, fish, and scavenged meat. Although the creatures only tend to attack when they feel threatened, they are still certainly not to be messed with. 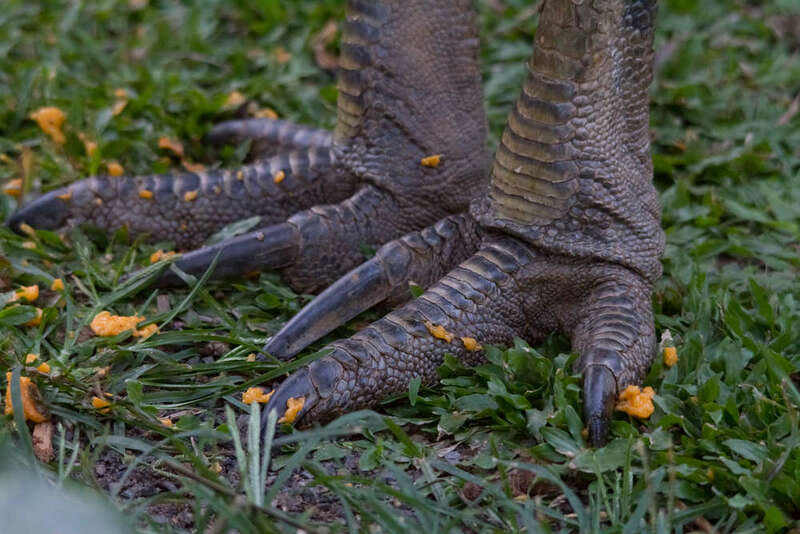 They attack by charging at a fast speed and kicking with their extremely strong legs that are tipped with a long claw on each foot, which can grow as long as 10 centimeters (4 inches). The Florida Fish and Wildlife Conservation Commission classes cassowaries as Class II wildlife, meaning they are considered dangerous but you can privately own them if you have a license, the right type of enclosure, and “substantial experience”. While deaths from a cassowary attack are extremely rare, it's not totally unheard of. Smithsonian Magazine previously reported that the last person known to have been killed by a cassowary was an Australian teen back in 1926. Phillip McLean, 16, was reportedly running from a wild cassowary at a ranch in Queensland when he fell over and received a slash to his neck by the bird’s clawed foot. He died of his injuries shortly after.